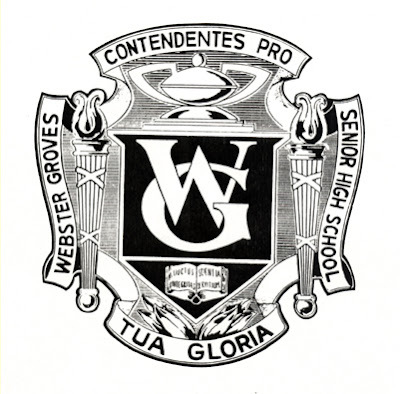 Webster Groves High School has provided an incredibly diverse clinical experience with an emphasis on student to student collaboration and hands on experience. 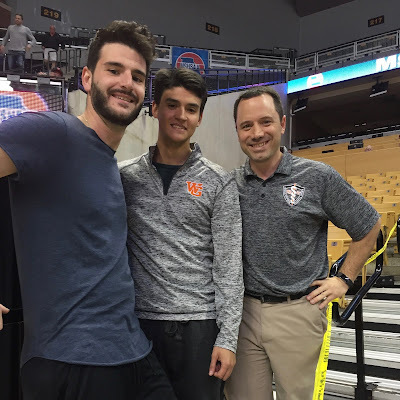 Our preceptor, Sean Wright ATC, has been the sole athletic trainer of WGHS for the last ten years and a member of the SLU preceptor network since its creation. He is great at establishing an environment in which we can communicate openly and problem solve with one another. In addition to providing athletic training services, Sean also teaches Athletic Training I and II, as well as Health and P.E. Students from his athletic training class are required to gain a certain number of observation hours in the ATR or with us at games or events. They love to test us on what they are learning in class…and ask lots of questions. But it keeps us on our toes and helps expose some of the areas in which we need to review. Over the last couple of months, we have had the pleasure of gaining experience with our winter sports teams, notably basketball and wrestling. While we sent two wrestlers to the state tournament earlier this month and our women’s varsity team were recently crowned district champions, our men’s basketball team have stolen the spotlight as they just became state champions! In convincing fashion, of course. Working with such high-level athletes in the high school setting has challenged us to become more creative and intentional in designing functional rehabilitation plans. As spring sports are now upon us we must transition into a busier time of the year with more of a focus on evaluation. On a typical day, we are presented with numerous opportunities to practice our skills in evaluation both on the field and in the clinic, and Sean encourages us to work as a team on harder cases, ‘tapping out’ only when we have exhausted all of our options. This has really pushed us to be more prepared, not only for our athletes, but also for each other. We are all looking forward to seeing what the next couple of months brings.